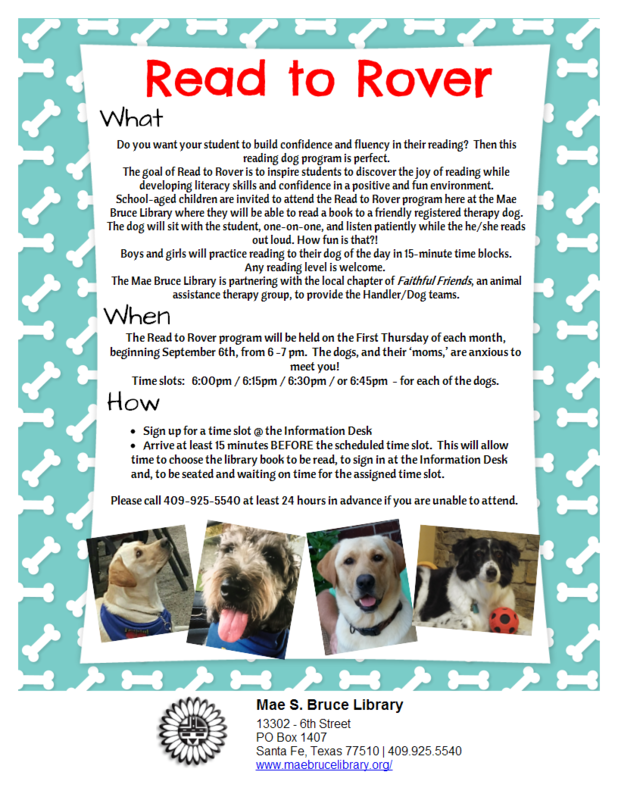 The goal of Read to Rover is to inspire students to discover the joy of reading. 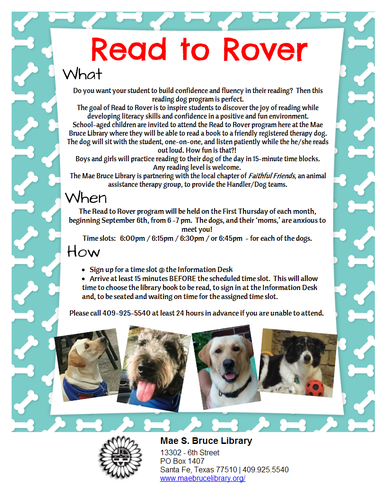 Boys and girls will practice reading to their dog of the day in 15-minute time blocks. All reading levels are welcome.